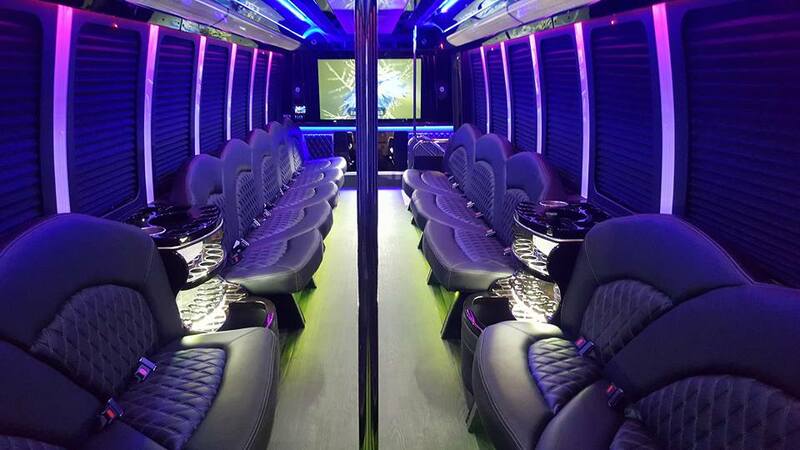 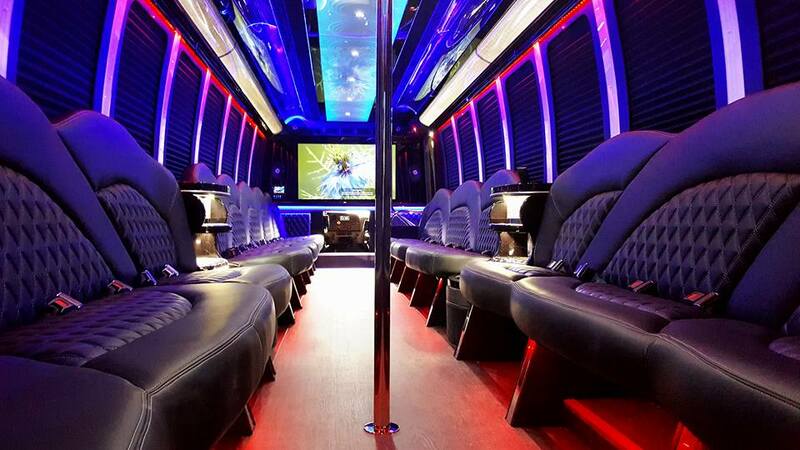 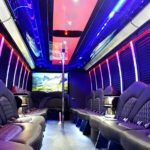 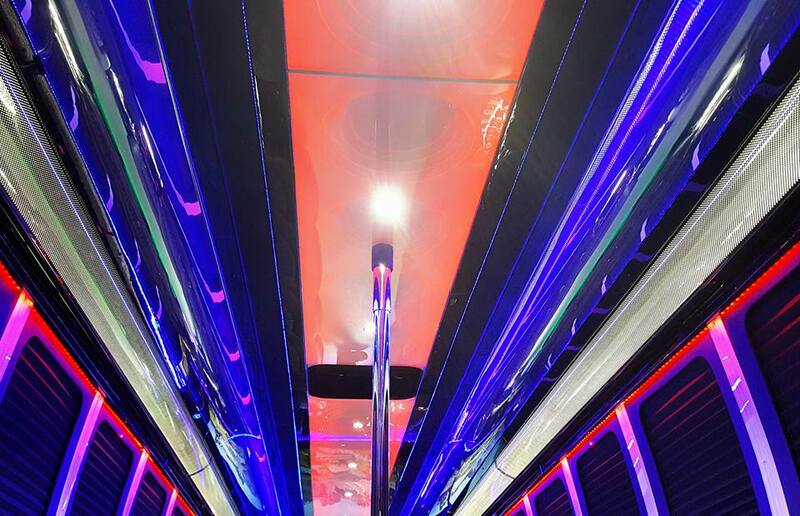 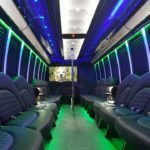 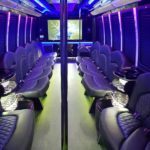 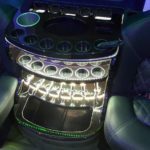 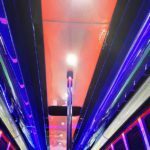 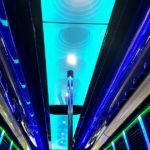 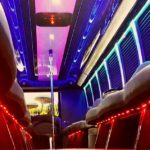 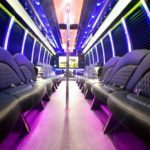 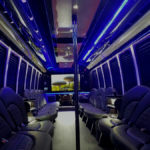 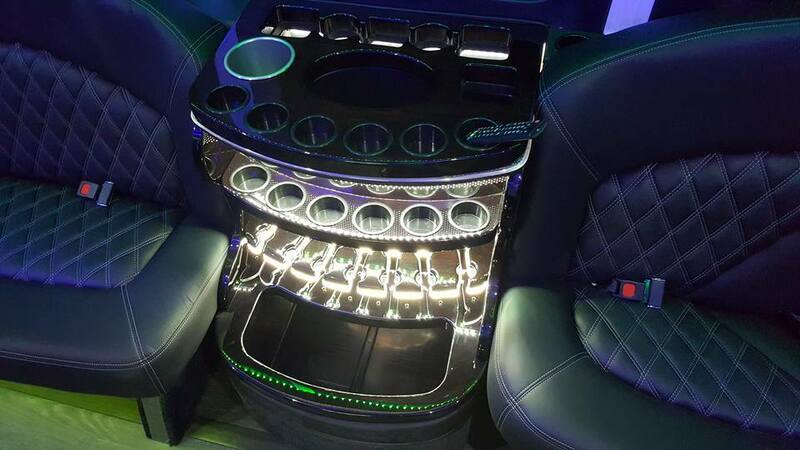 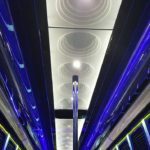 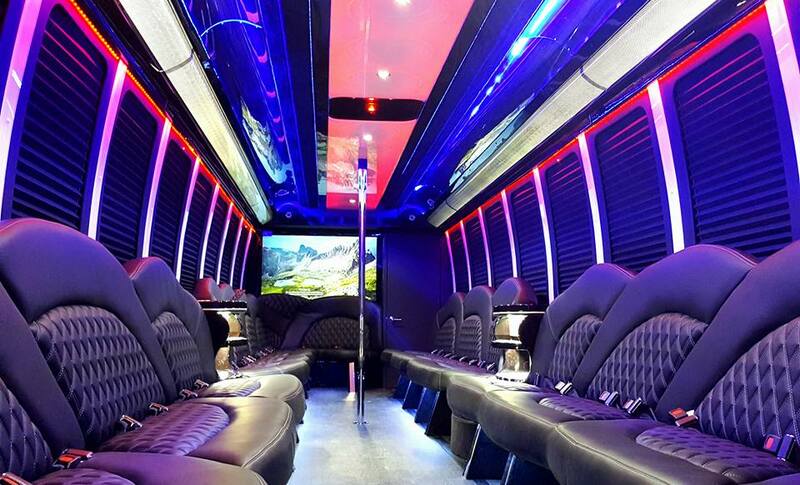 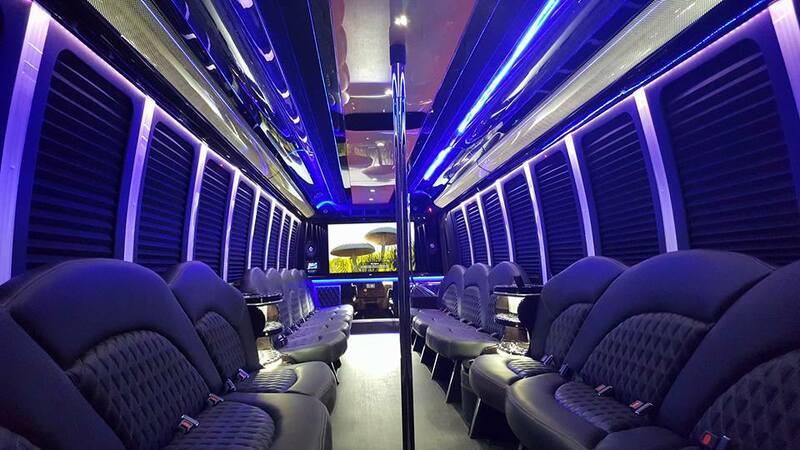 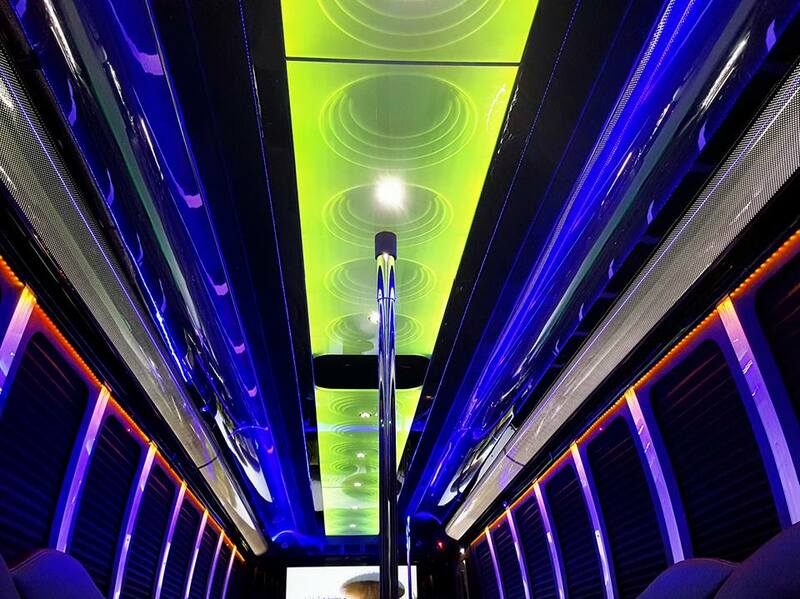 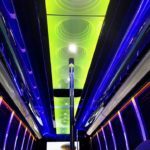 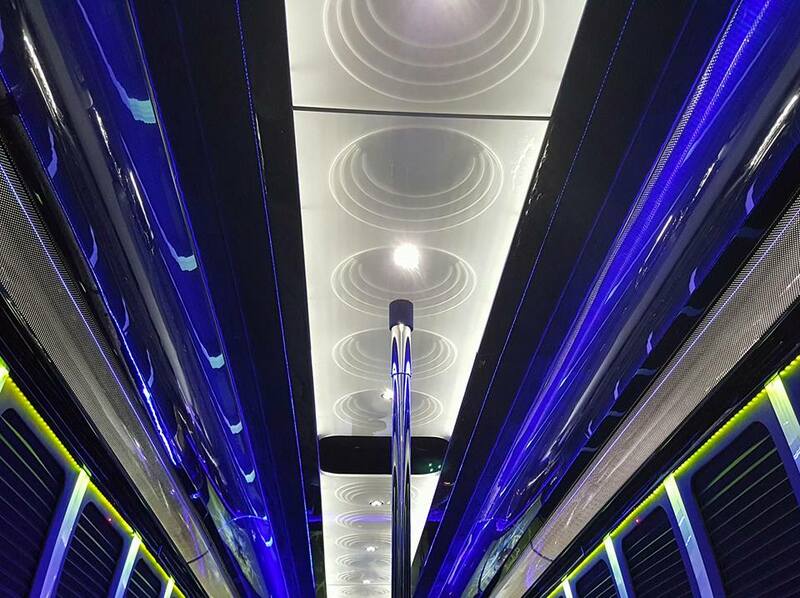 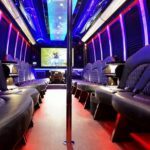 This Brand New (2017) Party Bus is brand new and holds up to 40 Passengers. 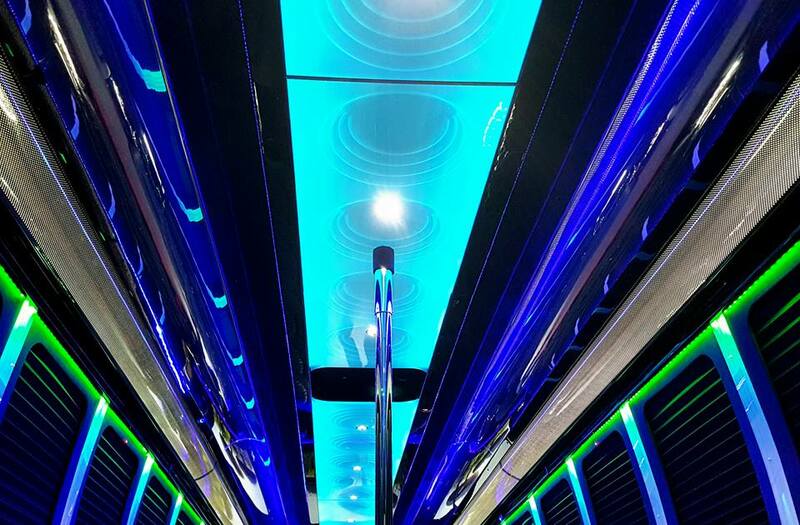 Comes equipped with plenty of room for dancing (even includes a dancing pole! 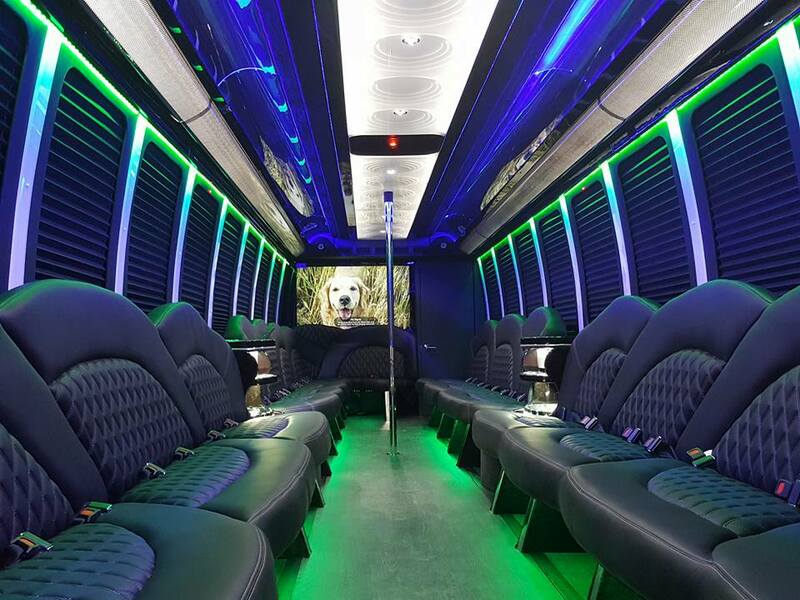 ), a full featured entertainment system, WiFi, bar equipment and complementary refreshments, leather seats and couch-style seating for a wonderfully comfortable environment for your party. 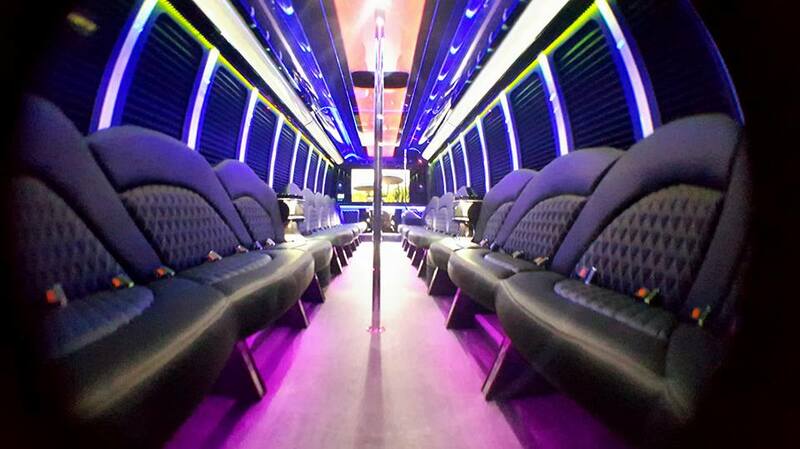 Perfect for Birthday Parties (especially Sweet Sixteens and Quinceanera), Junior and Senior Proms, Bachelor and Bachelorette Parties, Wedding Parties or simply Nights on the Town!